Jane Stouffer Williams was President of the Rappahannock Art League for two years, 1998 and 1999. She was a driving force behind the RAL Art Center offerings during her time as a member. A life-long and award-winning artist, she taught art classes, organized studio groups, and created and led Art History tours to various locations on the East Coast, all through the Art Center. As a tribute to their mentor and friend, members of the RAL Art Center renamed the special exhibit area the Jane Stouffer Williams Exhibit Room in her memory. The Exhibit Room houses monthly, themed exhibitions open to all members. Although these exhibits are open without jurying, they are judged with ribbons awarded. Opening receptions for each Exhibition are held on the First Friday of each month and are open to the public. The Gallery at the RAL Art Center is a cooperative gallery for member artists’ juried work. The Gallery is open from Tuesday through Saturday from 10 a.m. until 4 p.m. Apart from two part-time managing directors, the Gallery is run by volunteers. 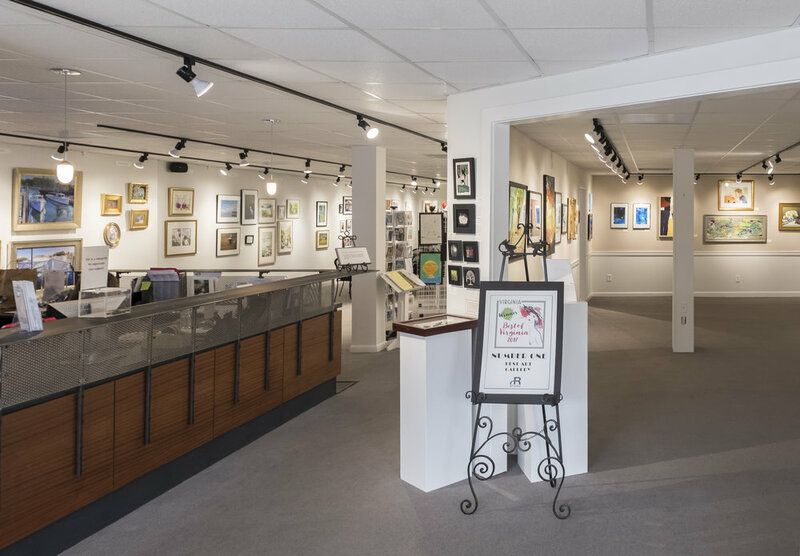 All of the member artists are local, and all of the work exhibited is available for purchase. In addition to the Exhibit Room and the Gallery, the Art Center offers space for specific groups to work and study together. These opportunities include Life Drawing group, Photography group, Open Studio group, and various workshops and lectures. Workshops are offered throughout the year in a wide variety of media and for all levels of experience from beginner to professional. A Friday Paint Night is offered monthly where participants will be guided to create an instructor-selected painting with all supplies provided by the Art Center. All workshops and paint nights are open to the public. Each summer, local art teachers run a Kids Camp where children ages kindergarten through middle school create all sorts of works of art. The Camp runs for 6 to 8 weeks. Students can register for full or half days and for one or more weeks. Members of the RAL Art Center receive reduced rates on all educational programs.